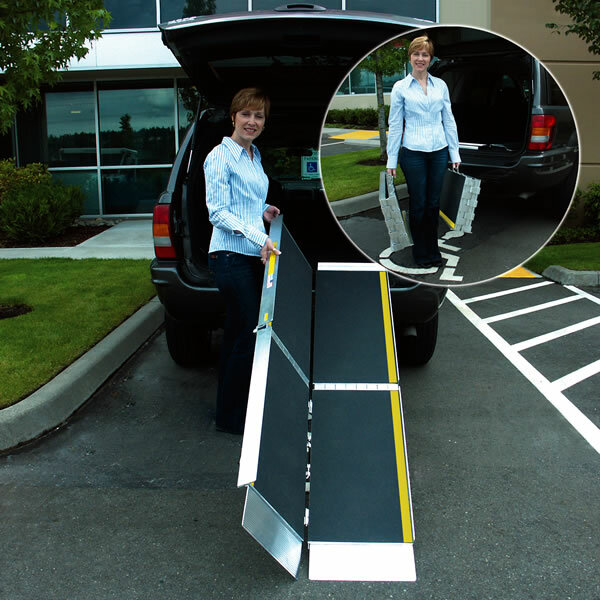 Get an Instant Discount Coupon for this product! 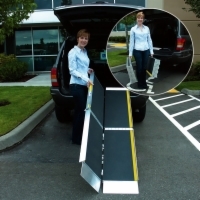 This tri-fold ramp (7' long by 2' 5.5" wide) has a unique 3-fold design and is great for creating access for wheelchairs and scooters. 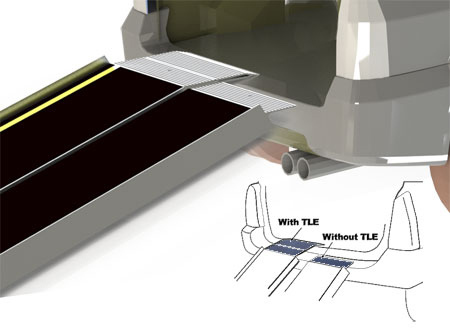 The ramp can be folded and carried as one piece, or it can quickly be separated into two sections. 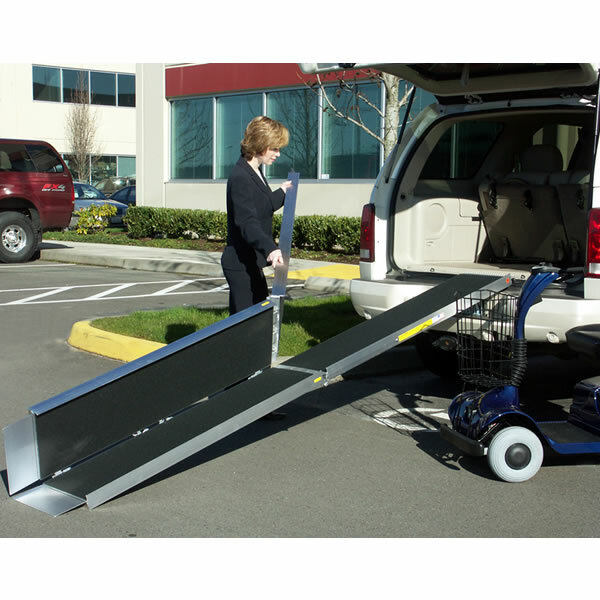 Each section has its own carrying handle, making them a snap to move. 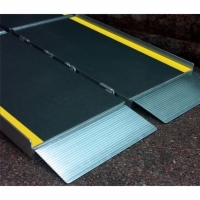 The tri-fold ramp also features a self-adjusting bottom transition plate and skid-resistant tape with yellow safety strips. It is made of aircraft-grade aluminum and has a 800 pound carrying capacity.